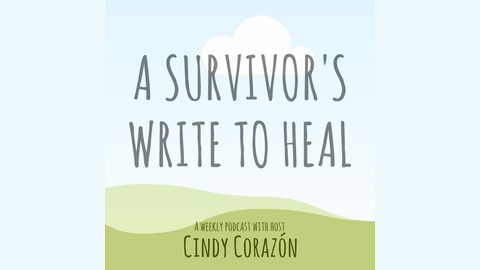 I'm Cindy Corazón, host of A Survivor's Write to Heal, a podcast that helps survivors of trauma and abuse find a healing path through written expression. During each podcast, we'll explore an issue through a theme and I'll guide you to write about it because expression is vital to healing. Episode 2: Self-care techniques. This episode is focused on self-care strategies to help you feel better when you are experiencing anxiety, getting angry, feeling depressed. 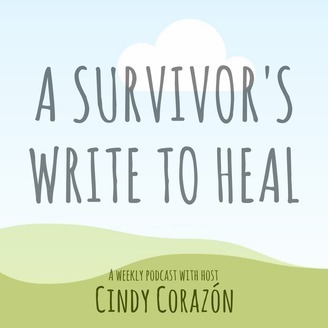 Express Yourself: A Survivor’s Write to Heal is a podcast that helps survivors of trauma and abuse find a healing path through written expression. During each podcast episode, we'll explore an issue through a theme and I'll guide you to write about it. Our mantra is expression is vital to healing.